At the meeting last night, the BTD discussed their initial plan for parking around A Street. 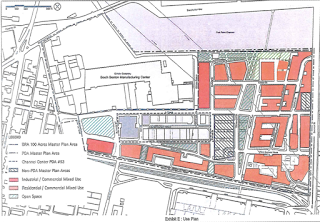 The focus was on turning the unmarked spaces on Binford St. into either residential or metered with residential at night and, in general, finding ways of having more residential parking. In addition, the BTD is working with the Post Office and hopes to turn the spaces along the fence behind the channel center into residential spaces. It would end up being about 70 spaces and would end the out-of-towners who park there (as well as the occasional airplane...). They're trying to get it done ASAP, possibly by the end of the year. 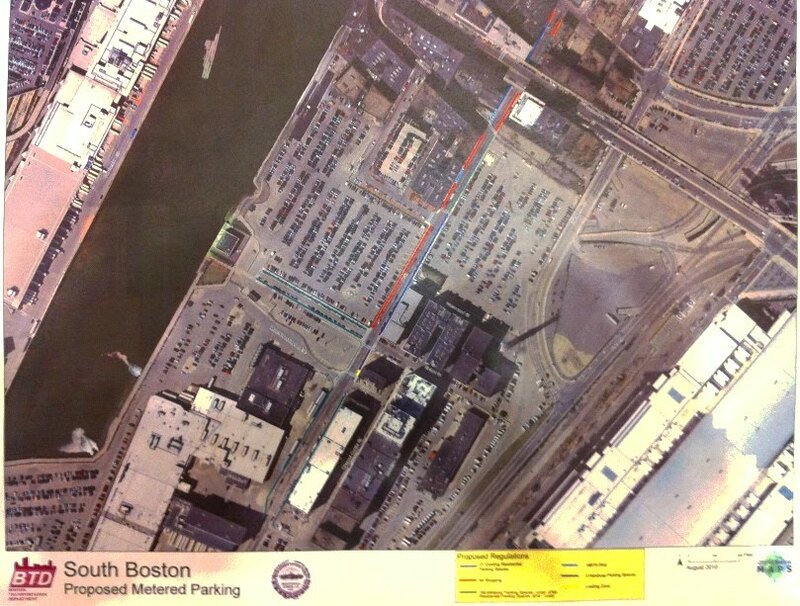 Residents argued strongly for having a Fort Point residential parking sticker. The BTD rejected the idea on the spot. Their position is that South Boston is one neighborhood and will not be separated. Move some of the residential spots to Binford as A Street is a snow emergency and subject to towing during storms. Distribute the four handicap spots more evenly (currently they're all next to Barlow's). Click to enlarge the image. Apologies for the quality, it was taken on my phone. The red lines are for no parking permitted, the blue for residential only, and the green for meters with residential at night. The purple and yellow next to Barlow's are handicap spots and a loading zone.